Shop at Amazon .... Support Paradigm! 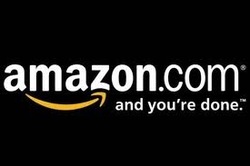 Now ... EVERY purchase you make through Amazon will result in financial support to Paradigm! Simply click on "Amazon Smiles" and use Amazon exactly as you always would. .50% of every purchase made through this link will be donated back to Paradigm! !